Quality and service that will be remembered long after the meal has been served. CALL IN ORDERS ARE ALWAYS WELCOME. WE WILL HAVE YOUR ORDER READY WHEN YOU ARRIVE. All products made in house. The Elia Family prides itself on Quality Products, and Personable Service. We offer only products that are made in our own USDA Processing Facility, located in the Beautiful Hudson Valley. Our local pork is like a slice of Heaven. Perfect for family gatherings, corporate lunches, or large events; Elia's provides the highest quality prepared foods for any occasion! Elia's utilize traditional Italian and American recipes to bring you their traditional catering favorites. With succulent dishes ranging from Chicken Parm, Baked Ziti, and Boneless Seasoned Pork Roast, to traditional party platters, antipasti, and chicken wings. Elia's will provide the food to make your event one to remember. Elia's Texas-Style barbecue catering is brought to you by "Elia's Texas Connection". This part of Elia's catering is headed up by owner Mark Elia, and brings patrons age-old BBQ recipes and techniques. These techniques were attained in extensive training by Mark Elia and company by Texas barbecue masters. Perfect for family gatherings, corporate outings, or weddings, Elia's Texas Connection will prepare you the barbecue feast to make your event a memorable one. 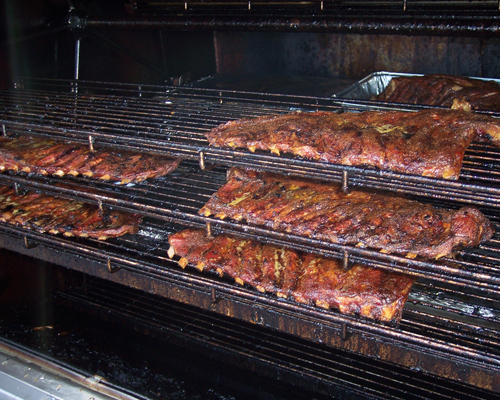 From Smoked Brisket and Smoked St. Louis Ribs to Barbecue Chicken, Corn on the Cob and traditional salads. 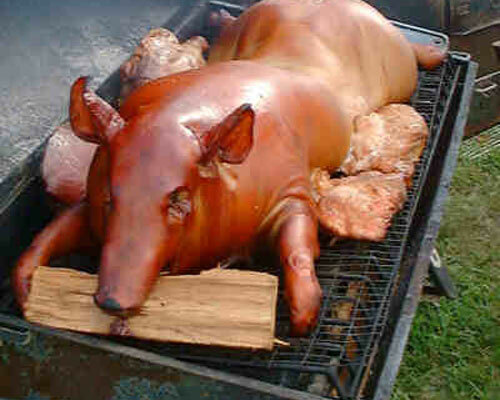 Elia's BBQ Catering Services will prepare the highest quality barbecue for your party or event. Provisions have always been a very important part of our market. All products are hand made using only the finest Local and Regional Meats. We only sell products that we hand make ourselves. we take great measures to assure our customers that every animal we use is humanely raised, and harvested. Sausage making has been my passion since I was a young boy working at the local butcher shop where I tended to sawdust covered floors, fat barrels, and meat cutting machines. I linked my first sausage at the age of 17, and havn't stopped since. Call ahead and see what Chef Tom has on the burner for today. Need something special? Call in the day before and we can prepare for you.